Most change management models in use today are processes—step-by-step instructions. But do these processes work? Or have the underlying principles and concepts gotten lost in translation, leaving just a list of how-tos? Change management cannot be treated as a formula to blindly follow. Managing the people side of change involves one of the most unpredictable variables that you will ever encounter: people. To be effective, you will need to customize and scale your change management efforts based on the unique characteristics of the change and the attributes of your organization. But to do this, you’ll need to understand why your change management process works and how it will interact with the reality of change at your organization. So what is the “why” behind the Prosci change management methodology? Why does it work? 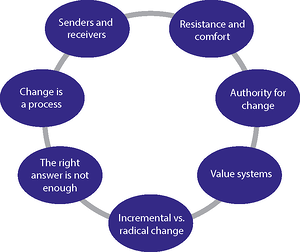 At the formulation of the methodology in 2002, Prosci identified seven change concepts that make up the reality of change. These concepts are at play during every phase of the Prosci 3-Phase Process and every milestone of the Prosci ADKAR Model. By understanding these foundational concepts, you will no longer simply follow a process; you know why it works and how you can craft a change management strategy and approach that meets the needs of every situation you find yourself in as a change practitioner. Below we will investigate each concept and find out how it impacts the successful application of change management. Every change can be viewed from the perspective of a sender and a receiver. A sender is anyone providing information about the change. A receiver is anyone being given information about the change. Senders and receivers are often not in a dialogue at the onset of a change. They talk right past one another. What a sender says and what a receiver hears are typically two very different messages. For example, if a supervisor sits down with an employee to discuss a major restructuring project within the company, the supervisor may be enthusiastic and positive. They may cover all the key messages including the business reasons for change, the risk of not changing, and the urgency to change the organization to remain competitive. The supervisor may even emphasize that this is a challenging and exciting time. Throughout Prosci’s research, employees have consistently preferred two primary senders of change messages: senior leadership and the employee’s immediate supervisor. What’s in it for us (our team or work group)? Realizing that what receivers hear and what senders say is not always the same is the first step to understanding that change management cannot be reduced to a set of activities or steps. Understanding the underlying phenomena of communications, including the sender/receiver concept, causes us to rethink our traditional modes of communicating. Change management practitioners, managers and executives alike must not only be clear in their communications, they must also listen to employees to understand how their messages are being received. They then must be willing to communicate over and over again, and be willing to correct misinformation that naturally spreads during change. The question, therefore, is not if we will encounter resistance to change, but rather, how we support our employees through the change process and manage that resistance. Consider this basic thought process: If resistance to change is a normal and natural reaction, then resistance should be expected. If resistance is expected, then our planning activities should be designed to mitigate that resistance. We can manage resistance early and at its source. In many cases, we can prevent resistance or greatly reduce it. We can also stop treating resistance as a “problem employee” or a trouble area. We can understand the many factors that drive resistance and manage them accordingly, both professionally and with respect for the employees going through change. If we do a really good job at managing change, we will find that change management can shift from preventing and managing resistance to engaging employees and building enthusiasm and passion around the change. Do not react to resistance with surprise; expect it and plan for it. Be patient with individuals as they work their way through the change process. Enable business leaders and managers to become effective change leaders and teach them how to effectively manage resistance. Assess resistance not only from an individual perspective, but also based on the larger organizational context. Active and visible sponsorship has remained the top success factor for change management over the 20 years that Prosci has studied change management best practices. However, a large percentage of projects have a senior leader named as the project sponsor, but they lack the true sponsorship required for success. Consider a project that you are supporting today. If you concur with the statements above (you might even think we are simply stating the obvious), and if you have a senior leader sponsoring your change, you might assume that you are good to go. Unfortunately, the research data does not support that assumption. So when we conclude that executive sponsorship is the number one success factor for change, the mere assignment of a senior leader as a sponsor does not constitute having effective sponsorship for your change. Organizational value systems impact the way change happens. What is important to our organization? How are decisions made? Who is in charge? How do I relate to other employees and groups within our organization? What behaviors are rewarded and recognized? What is compensation based upon? The answers to these questions vary from country to country, industry to industry, organization to organization, and department to department. It is critical for all change managers to understand the underlying values of their organizations because these factors directly influence the way change will be perceived and how much work will ultimately be required to ensure successful outcomes during a change. Listen carefully and observe constantly to gain insight about the leadership structure, organizational history and underlying beliefs of the groups impacted by the change. Conduct an organizational attributes assessment to spur discussion and to help you make sure you have asked the right questions. Customize and scale specific change management action plans that take into account the unique value systems of the impacted groups. The magnitude of a given change will impact how employees react and how you should manage the change. Incremental change that does not cause employees to move too far from what they know will experience a different level of resistance than radical change that introduces dramatic change. The right approach and amount of change management required by a given project or initiative is unique and specific to that change. In addition, you must adjust your approach based on how the change uniquely affects each group of impacted employees. How big is the gap between the future state and the current state? How different is the future state from the current state? How much of a departure from the current state is the future state? These may seem like simple questions, but they are often overlooked or not asked by the teams building solutions. Project teams tend to focus on the solution (the transition state they are designing). When we add a change management perspective to a project or initiative, it becomes important to understand just how much change or disruption is taking place because it impacts how we will manage that change. Answering the questions above provides an invaluable data point when developing the right change management approach. To deliver value, a solution must be adopted and embraced by employees. Change management, at its core, is a structured approach for bridging the gap between a great idea and tangible value to the organization. If you are only focusing on developing the right answer, you will not be successful at implementing lasting change in your organization. Change management adds structure and intent for moving employees from their current state to their future state. Through effective communication, sponsorship, coaching, training and resistance management, employees are led to make the decision to get on board and support a change. Change management provides a repeatable and rigorous approach to helping individuals move forward and adopt a change to their day-to-day work, which is what enables projects to ultimately deliver results. It is important to have the right answer. But the right answer alone is not sufficient to deliver lasting change in the organization. Change management is about moving employees forward through their own change processes using a robust organizational process. It is the combination of the right answer and engaged employees that results in lasting and successful change. Changes ultimately come to life through the processes and behaviors of individuals. Resist the urge to focus your energies on creating the right answer. Balance your effort between developing the right technical solution (arriving at the right answer) and applying change management (crafting a solution for managing the people side of change). Change occurs as a process, not as an event. Organizational change does not happen instantaneously because there was an announcement, kickoff meeting, or even go-live date. Individuals do not change simply because they received an email or attended a training program. When we experience change, we move from what we had known and done through a period of transition to arrive at a desired new way of behaving and doing our job. Although it is the last of the seven principles of change management presented, treating change as a process is a central component of successful change and successful change management. By breaking change down into distinct phases, you can better customize and tailor your approach to ensure individuals successfully adopt the change to how they work. Use the Current State, Transition State, Future State framework to treat the changes you manage as a process, and not as a single event or series of events. Since individuals experience change as a process (like the milestones in the Prosci ADKAR Model), focus your change management activities based on where individuals are in the change process. Remember that no one experiences the process the same. With bigger, faster and more complex change happening in business and in the world at large, change management cannot focus exclusively on traditional change activities, such as communication and training. Effective change practitioners must have a proven and holistic approach to change management, but they must also understand why their approach works. A proven, research-based methodology combined with understanding the why behind it is a powerful combination that will result in change success again and again. 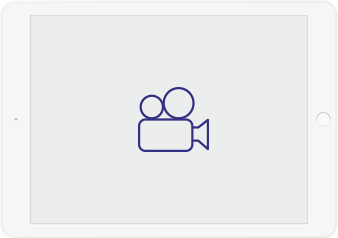 Prosci’s 5 Tenets of Change Management help you tell a simple and compelling story about why change management is necessary for projects to deliver results and achieve objectives. The five tenets help you provide crucial context for your “what is change management?” discussions.